With technology growing at warp speed, electrical needs have increased over the last few years. 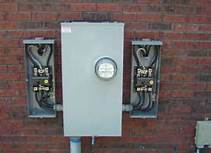 Upgrades and improvements not only increase the value of a home or business but will also help save money and energy. No matter what kind of electrical upgrades and improvements a homeowner or business owner needs, JML, Inc. is fully capable of performing the job to the highest standard.